On insurmountable electric fences, the main focus of attention is on safety. This means that a relatively large number of fence parts are used and that many aspects must be taken into account when setting up and using the fence. Fortunately this does not automatically mean that the electric fence requires a lot of effort. With the aid of connectors, fence tensioners and reels equipped for the electric fence, it is possible to reduce time and effort and to work more efficiently. 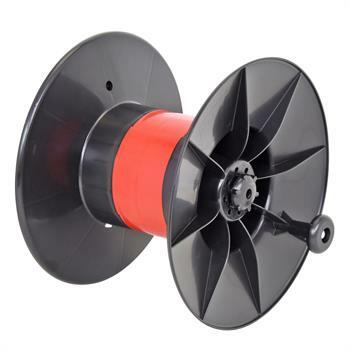 Accessories for electric fence reels also provide support. When erecting and dismantling the electric fence, there is always an inevitable struggle with the conducting material. Whether you opt for wire, rope, polywire or tape, conductors are not just an indispensable part of the fence system – as they conduct the electricity and release an electric shock if touched – however working with them is not always easy. Electric fence reels assist you with your work as they are used for quickly and easily winding and unwinding the conducting material. Many hundreds of metres of electric fence tape, rope or polywire can be unwound or wound up in minutes. This is just as advantageous on a permanent fence as on a mobile electric fence. 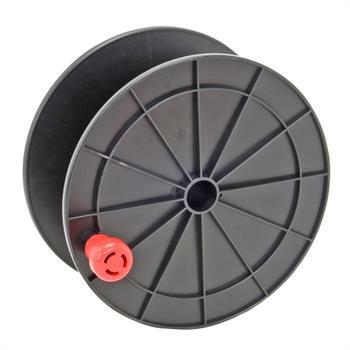 Despite the fact that the reels are made of weather- and impact-resistant plastic, minor damage will inevitably occur over time. 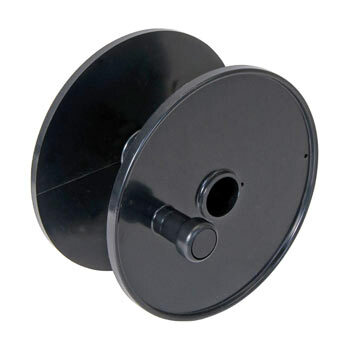 Electric fence reel accessories can be purchased for this purpose, either in the form of replacement drums or as additional reels. 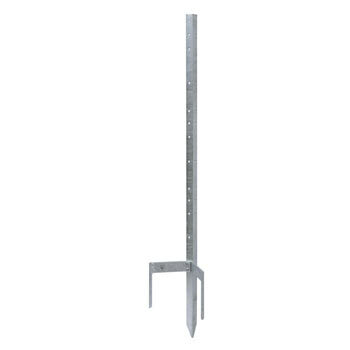 Accessories for electric fence reels in the form of brackets and posts can be ordered from our online shop. Similarly to other fence components, synthetic reels are exposed to the elements and high levels of stress each day. 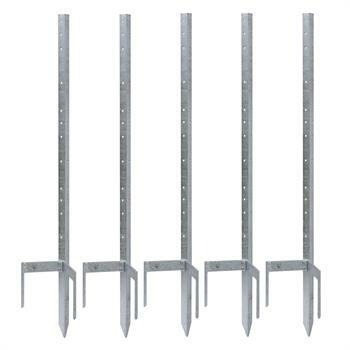 They are regularly subject to intensive use, particularly when used frequently for mobile electric fences. 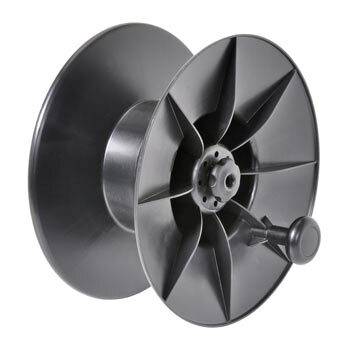 Viewed in this light, the use of reel accessories such as replacement reels / additional reels or additional drums / replacement drumsis advantageous or even indispensable. 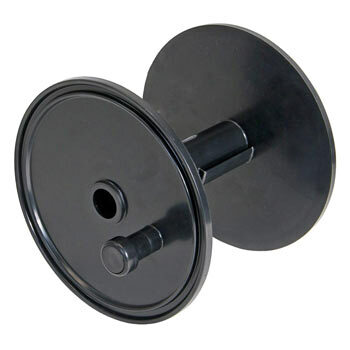 Dismountable reels are considerably practical and affordable and are ideal for use with rope, tape and polywire. 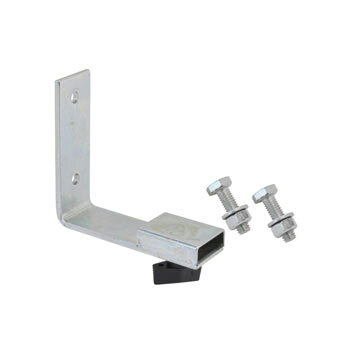 We also recommend accessories for reels such as a brackets for attaching the reel to the all-round post. 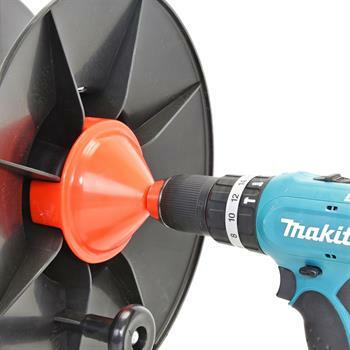 Retainers and fastening screws ensure that the post reels are held securely in place. Posts for attaching the fence reels are also required. 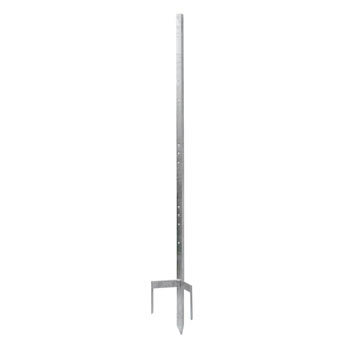 The galvanised metal post features several eyelets for attaching the reels.